At a jury trial with the jury consisting of 8 men and 4 women: Defendant: "Your Honor, I wish to change my plea." Judge: "Is someone using undue influence to prompt you to change your mind?" Defendant: "No sir, when I pleaded Not Guilty I didn't know there would be women on the jury. 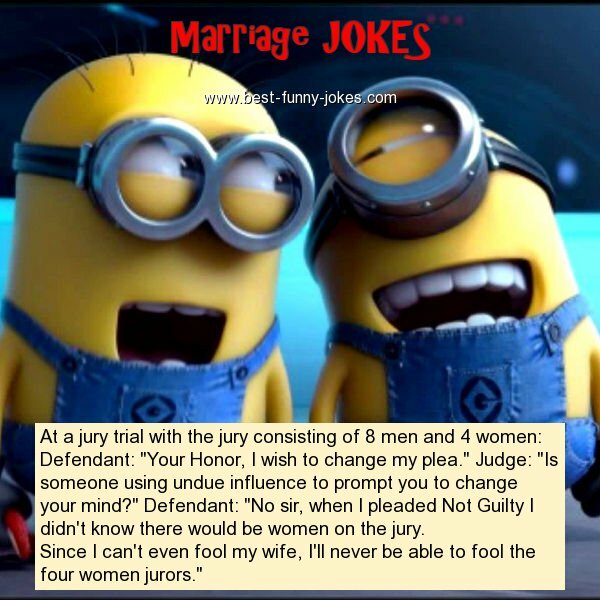 Since I can't even fool my wife, I'll never be able to fool the four women jurors."